In the late 1930s, despite a lingering Great Depression and a looming World War, my father had it made. He had recently completed a three-year apprenticeship to become a first-class machinist, and he had a good job at the Norfolk Naval Shipyard where his father, as a Spanish-American War veteran, had enjoyed guaranteed employment and had risen to become the superintendent of the shipyard paint factory. Then too, Leger Joynes was a very handsome, trim-figured, dark-haired man who drove a brand new Ford Coupe. The Joynes homestead in the Fairmount Park section of Norfolk, Virginia was not glorified by class because the family maintained acres of garden crops and fruit trees, as well as coops of egg-laying chickens. The family was thus considered prosperous during the Depression, even to the extent that they had a tennis court in the side yard of the house. The approaching “Golden Age” of the middle-class working family allowed my father the luxury of owning two tuxedos, one with a white dinner jacket. 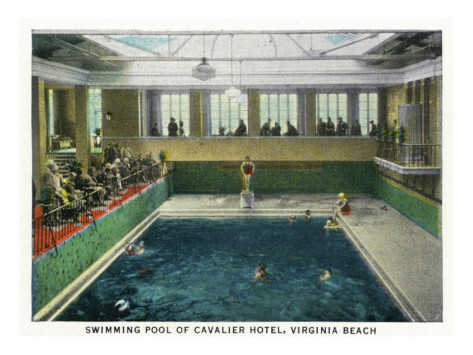 And although he was not a member of the Cavalier Beach Club, he was a frequent guest at the highly regarded Cavalier Hotel for their “Big Band” dance weekends. In those days, Dad was very well known in Virginia Beach through a web of family interactions that crossed several social classes. revelers from Norfolk to Virginia Beach. 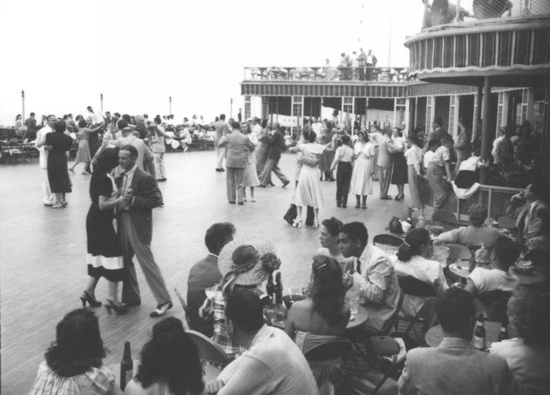 To begin the weekend, they planned to dine and dance in the hotel ballroom, lie around the pool and beaches the next day, and then party all Saturday night to the big band likes of Tommy Dorsey. What lifestyle could be better for young people of their age and social class where they mingled with the truly rich and privileged? While Dad’s date and friends checked into the hotel, he went to the manager’s ornate grand hotel office wondering what could be the matter. 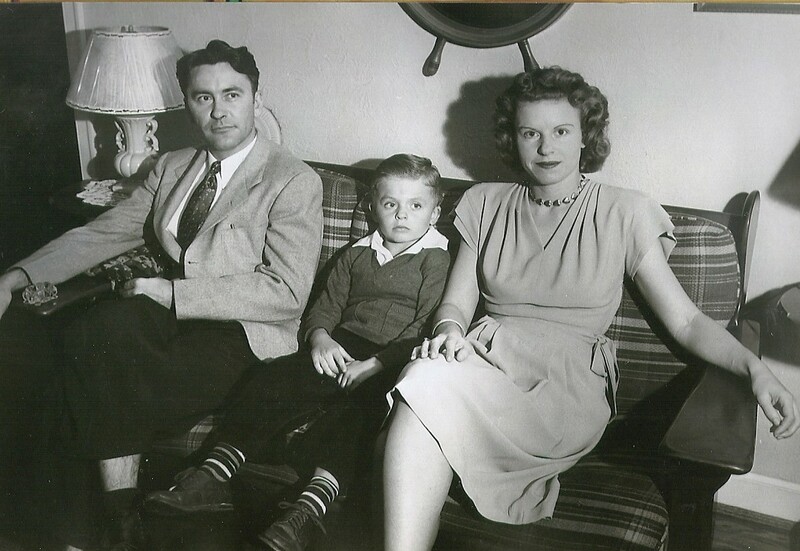 Dad and the GM were on a first name basis through mutual family friendships, although the formally dressed man behind the desk was old enough to be the 21-year-old’s father. The mechanical repair was a filthy, greasy job down in the dark pit of a pump room. 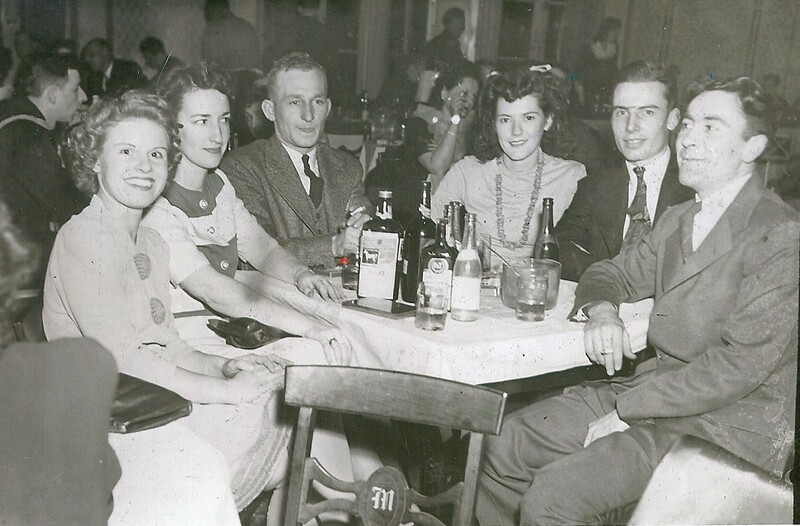 While Dad’s friends partied at the best table in the ballroom, he worked throughout the night to fix the pump and fill the swimming pools by morning. Pools filled, the GM’s gratitude to Dad was boundless. Even Dad’s car was returned to him washed and simonized. Every expense for the weekend incurred at Dad’s table was covered. He was treated like a celebrity by the hotel staff wherever he turned. Soon enough the ebullient times for Dad and his Fairmount Park pals and girlfriends ended. The World War arrived like an Atlantic hurricane, and some of them were lost in the storm of the military violence. Dad tried to join the Navy three different times, but the government would not release him from his job as a leading man in the Naval Yard machine shop. For lack of rationed tires and gasoline, the snazzy Ford Coupe was put up on blocks in the driveway, and Dad took a shabby commuter bus that picked him up on a slow roll in front of his house and delivered him directly to the shipyard. Busses like that ran through almost every working-class neighborhood in Norfolk and Virginia Beach to service the war effort. I was born in September 1941, about three months before Pearl Harbor and the US entry into the war. My early childhood memories are filled with food rationing and the massive flyovers of military aircraft en route to the war. I did not get to the Cavalier Beach Club until a date took me there to a Sunday afternoon tea dance when I was in college. 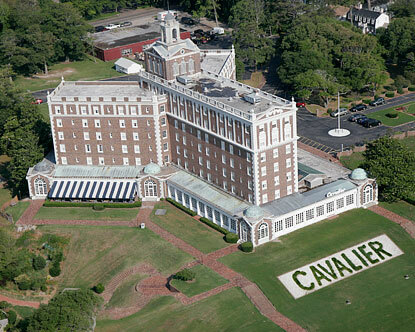 The old and faded Cavalier Hotel that set high on the sand hill across the coastal road from the Beach Club beckoned to me that day, and I insisted that my date take me in her Impala Chevrolet convertible for a brief tour of the grand dame where my father had celebrated his glory days. “Maybe we’re supposed to tell their stories,” she wisely replied.